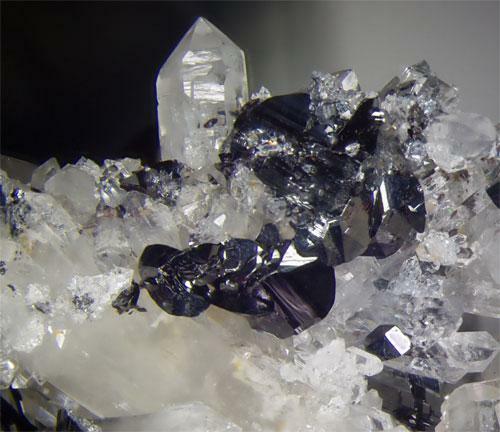 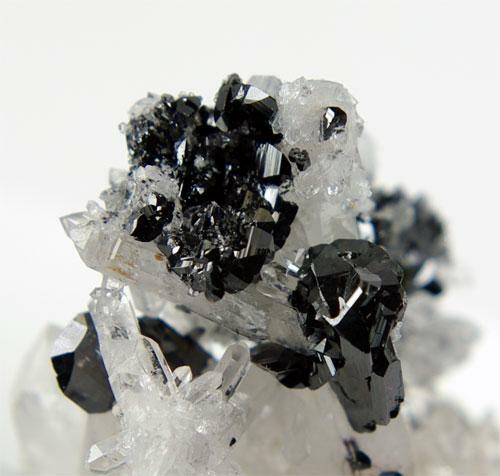 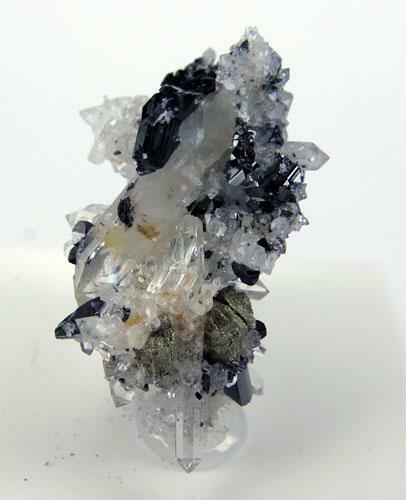 Black, higly lusterous hubnerite crystals are aesthetically set on jackstraw, water-clear quartz needles. 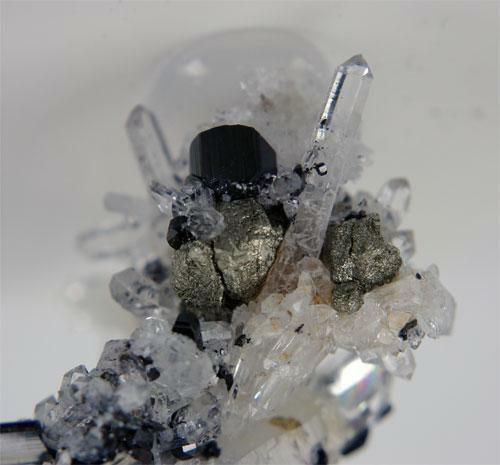 Crystallized in all edges, there are some unidentified inclusions in some quartz crystals. 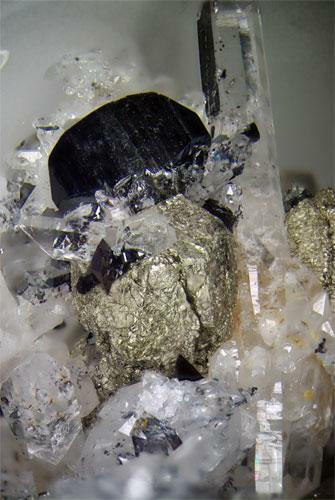 Several dull chalcopyrite crystals are present. 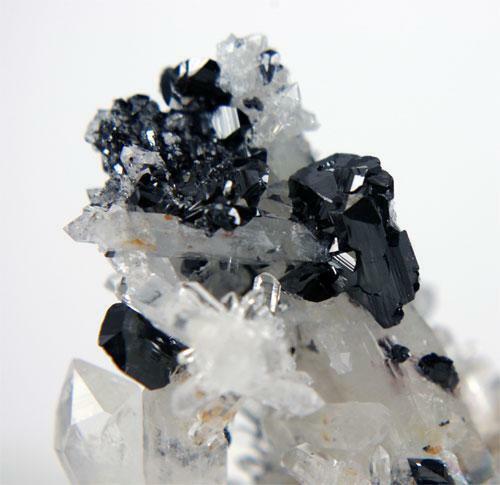 This is an excellent and very showy combination from the find in Summer 2008 at Mundo Nuevo!